Please read the voting instructions carefully as they are a bit tricky this time. Voting for LDSP’s 2010 Book of Mormon YA Story Contest starts NOW! VOTE between Monday, February 22 and midnight on Saturday, February 27. Publisher’s Choice winners will be judged on a variety of criteria, according to a point system. But it basically boils down to quality of writing, uniqueness of story and what I think will best sell the book. You can vote by whatever criteria you want, just don’t make it a popularity contest. NOTE: There are 10 stories in the Unpublished Author category and 16 stories in the Published Author category. Due to the limitations of Blogger, they do not all show up on one page. After you’ve read the first batch, click the OLDER POSTS link at the bottom right below the last story to go to the next page of stories. I could not find a poll that would allow more than 10 options AND let you vote twice. So the Published Author category, with 16 stories, is broken into two BLUE poll boxes. Although it will allow you to vote twice in each of the poll boxes, please ONLY VOTE FOR TWO STORIES between the two poll boxes. The Unpbulished Author stories are in the GREEN poll box. You may vote for two of those. You may make all the comments you like, but VOTING happens in the VIZU polls. AUTHORS: Please tell your friends that you’ve submitted a story and to come read and vote, but DO NOT tell them which story is yours. We want the stories to win on merit, not personal popularity. I’ll announce the winners on Monday, March 1st. It’s going to take a lot of time for me to go through these stories, write feedback, and pick winners. Therefore, the regular LDSP blog posts are suspended this week. 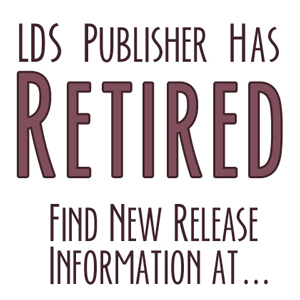 Will you (LDS Publisher) be giving critiques (good/bad) to the authors? As an author I would appreciate anything you are willing to share that could improve my writing. Or, if I'm fortunate enough, anything you liked. Yes, I will be critiquing the submissions. I will send a Word Doc with comments and a score sheet to each author via email. I will also post some commentary on the website. That is very generous of you. Would that all contests were so kind! Wow! I'm really surprised and grateful you will be taking the time to critique all the entries. I do that on all the story contests. I guess I forgot to mention it this time. That is really neat that the VIZU polls map out where the votes come from.